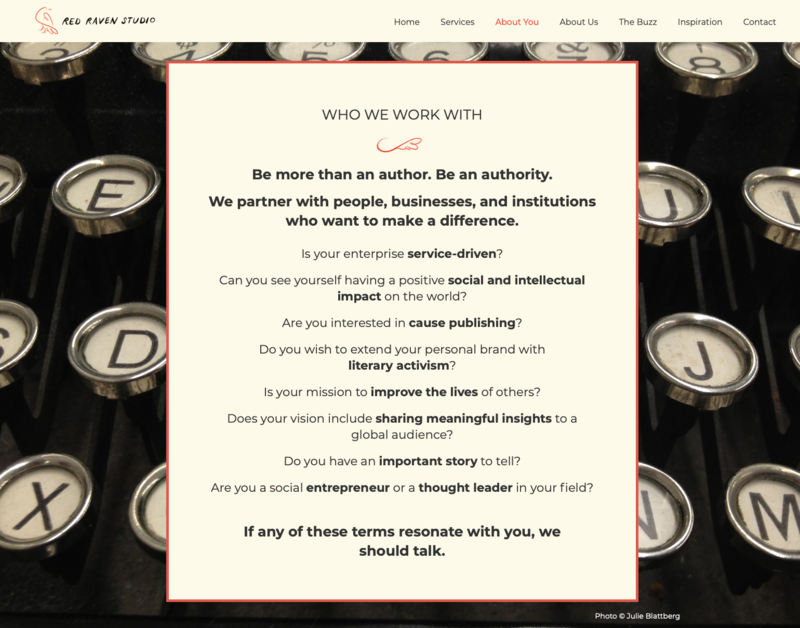 Have you ever thought about writing a book?? 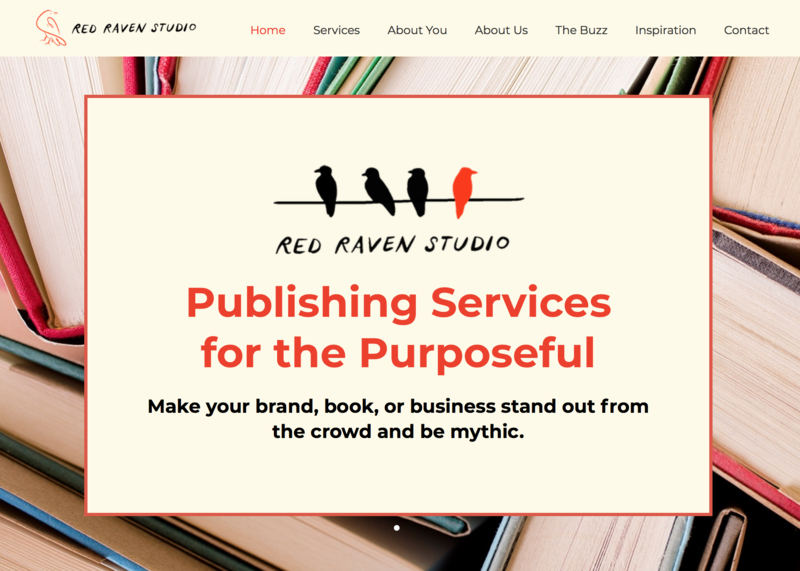 Red Raven Studio is a full-service book foundry, from concept to construction, from proposal to production. We know that a book is a profound and impactful way to connect with your constituencies, to broaden the legacy of your work or mission, and to extend your reach to new audiences. 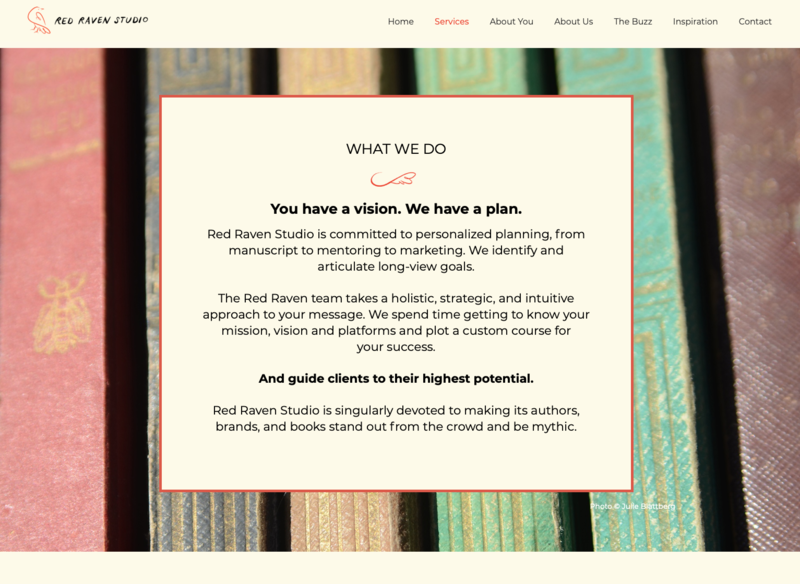 We created their website using WordPress and lots of custom CSS/HTML. 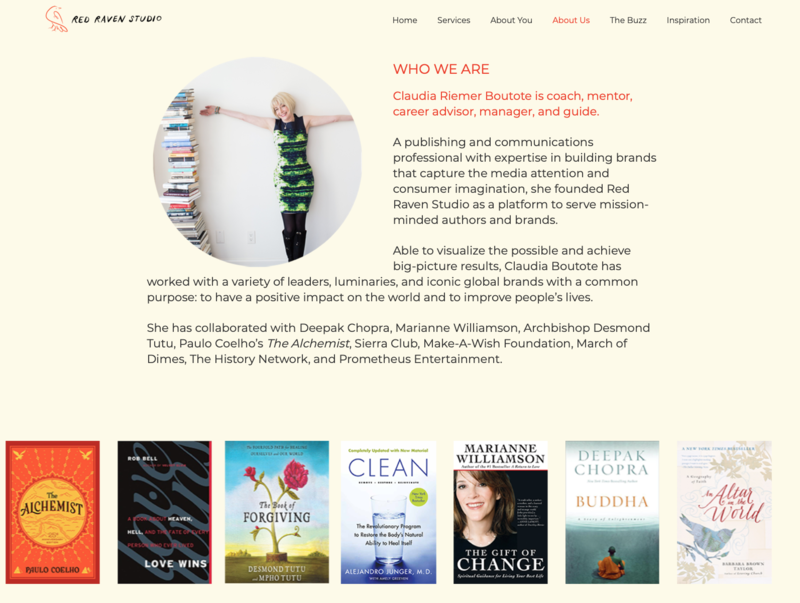 A clean, one page site, we worked with designer Kat Hargrave and it really hit the mark.